BOAT THE BAY IN STYLE! 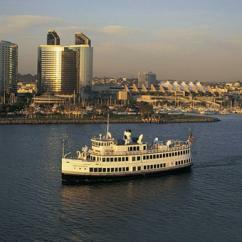 Wine and dine on San Diego dinner cruises, try brunch on a boat, or do a date night on the water! Float along on the most remarkable things to do in San Diego! 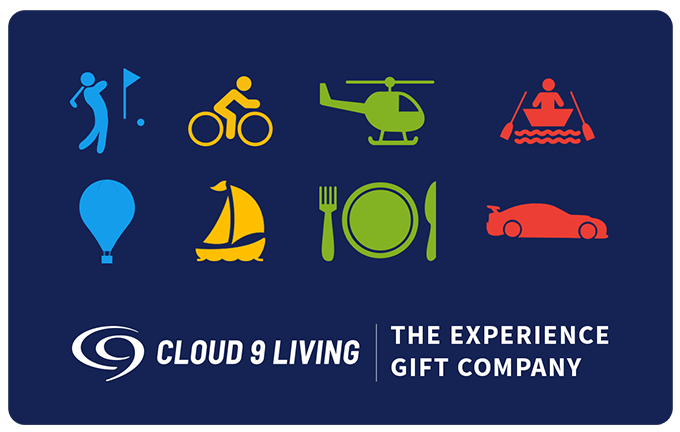 Whether you're looking for a new way to eat, drink and be merry around the city, or hoping to celebrate a special occasion amid dazzling sights — Cloud 9 Living has the H2O outings to help you do it. 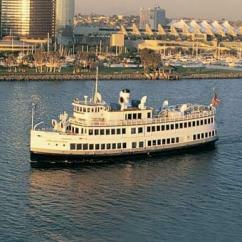 Start a Saturday or Sunday off at just the right pace with the Champagne Brunch Cruise. Splurge on bottomless bubbly and an impressive buffet spread aboard this exquisite San Diego cruise. Soak up some sunshine and admire the waterfront scenery. Or simply kick back with a coffee while enjoying to the sound of relaxing music. 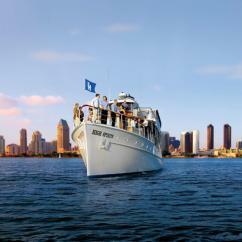 Board a luxurious cruise ship and indulge in an unforgettable San Diego Dinner Cruise! A complementary glass of champagne greets each passenger during boarding. Then settle in for an evening of fine food and vibrant entertainment. Choose a gourmet plate to enjoy from a menu of delicious options, and take advantage of the ship's cash bar offerings. Cut a rug to the tunes of the DJ, or slow down to a dance with your sweetheart. Sip a cocktail and stroll along the deck, taking in the stunning views of the Bay, city skyline, or warm glow of sunset on the water. Add a splash more San Diego sightseeing to an outing with the Sights and Sips Sunset Cruise, aboard the grand comfort of a yacht. Kick the evening off with a boarding glass of chilled champagne or sparkling cider. Savor hors d'oeuvres and enjoy cocktail specials as the boat glides along the Bay. Enjoy this relaxing, scenic cruise with friends, family, or a special someone.